Is Darth Vader perhaps an understood character, someone so complex that despite his utterly evil acts, he might have a lighter side? 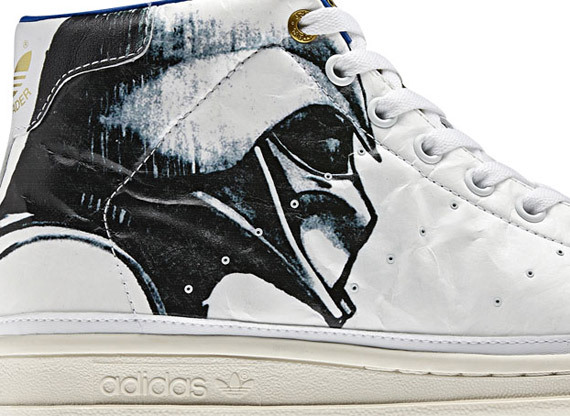 Seems unlikely, but as has been the case with the entirety of the latest Star Wars x adidas Originals capsule, this new adidas Stan Smith Mid 80s sees the Saga’s characters and symbols reimagined in new contexts. 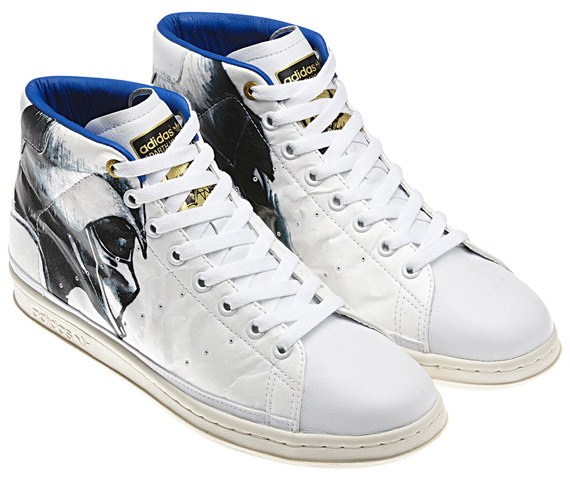 For Lord Vader, it’s a white leather hightop serving as the base for his profile on the side panels, illustrations which, curiously enough, feature their fair shade of lightness to emphasize the depth of his helmet. 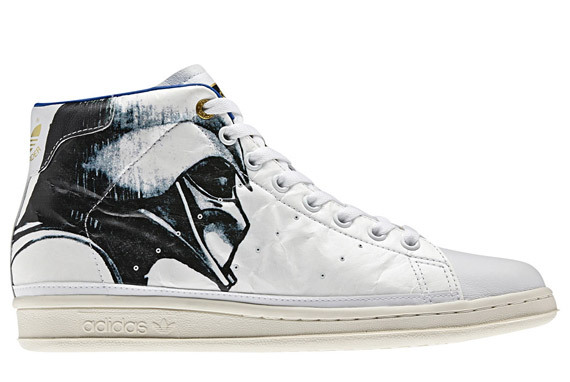 Barring an Episode IV.5, this is the closest you’ll get to seeing a ‘white hat’ Darth Vader, and you can find his Stan Smith 80s Mids at Shopadidas.